The ghost pirate Blackheart has staked his claim upon the realm of Mistharbor. His undead pirate crew has poured onto the streets, claiming the once thriving marketplace as their new den of villainy. Captain Blackheart Coins can be turned in to Blackheart, causing him lauch a volley of 12 cannonballs toward the Enemy Structures. 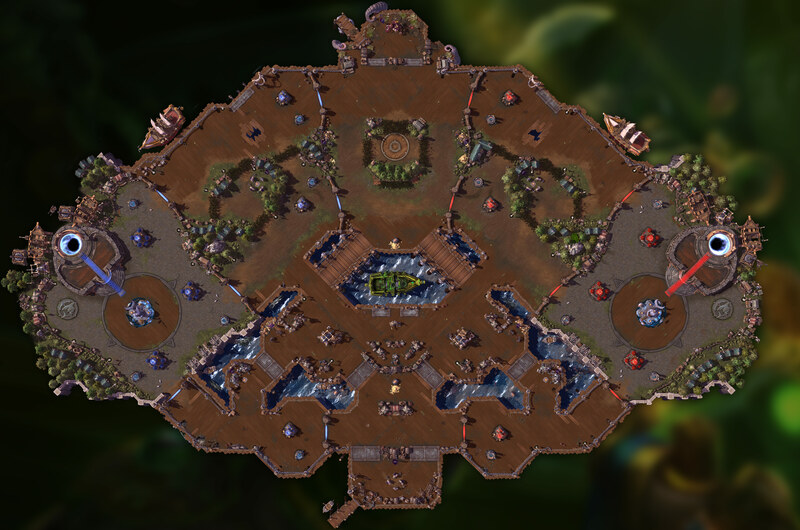 Prioritizes the lane with the most Structures. Chests Two Chests spawn at each side of the map. Destroy a Chest to gain 5 Coins. Spawns at: 00:01:30 Respawns 00:03:00 after all Chests have been broken. Dubloon Camp Dubloon Camp spawn. Drops 2 Coins upon capture. Spawns at: 00:01:00 Respawns 00:02:30 after the Camp has been captured. Giants Camp Giants (Siege) spawn. Drops 2 Coins upon capture. Wizard Knights Camp Wizard Knight (Bruiser) spawns. Drops 2 Coins upon capture. Bone Golem Bone Golem (Boss) spawns. Watchtower One Watchtower between Top and Center lanes. Ghost Pirate before it was cool. Likes loot and rum, but dislikes old gaming platforms.